The Frontier Program Camp Mentor is responsible for providing care and welfare of assigned youth. Maintain control and develop a healthy learning environment. 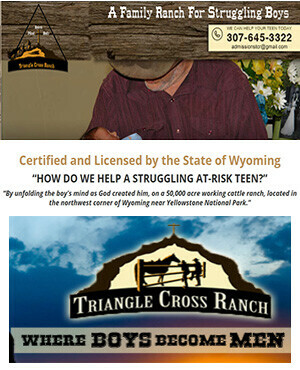 They must follow established guidelines, rules and regulations set by Triangle Cross Ranch and Department of Family Services (DFS), and be familiar with those rules and regulations.